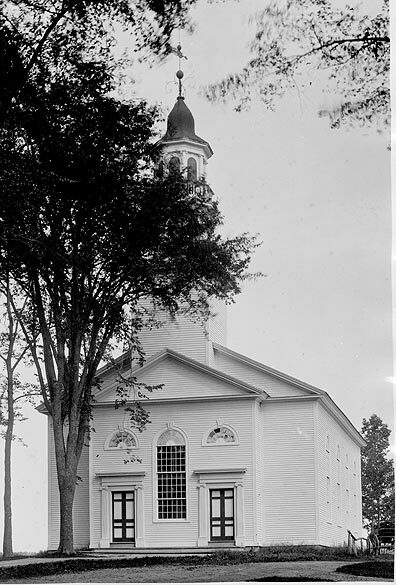 First Congregational Church, Searsport, Maine, built in 1834. 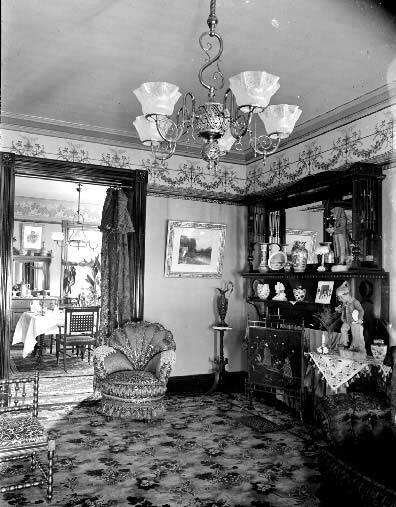 It is Greek Revival in style. 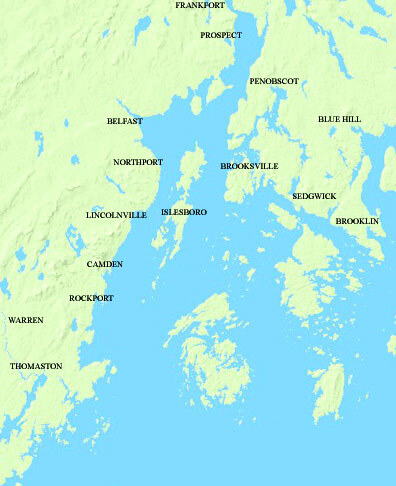 The Congregational Society in Searsport gathered on October 4, 1815 with sixteen members including a minister. The Society erected the first of its two buildings, the Harbor Church, in 1819 at Searsport Harbor, about one mile east of the present village. As the center of the community life moved into the village, the Society abandoned its church and built on Townhouse Hill, the present site, in 1833. A bell cast at the Revere Foundry in Massachusetts was installed in the church's steeple. 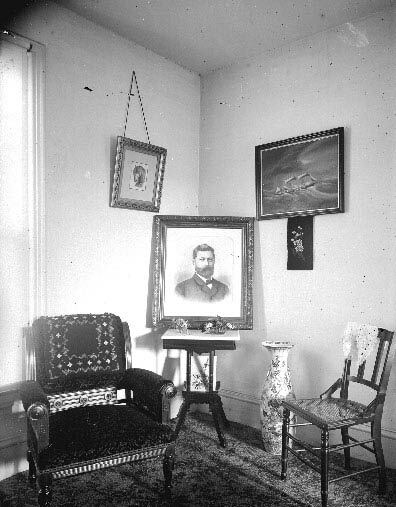 Interior view of a Searsport home, showing furnishings collected in the Far East. 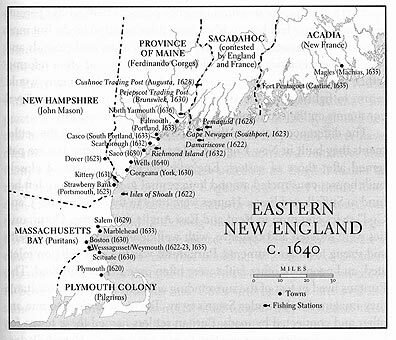 The sardine industry was very important in Maine, along with the businesses of making sardine cans and canning sardines. 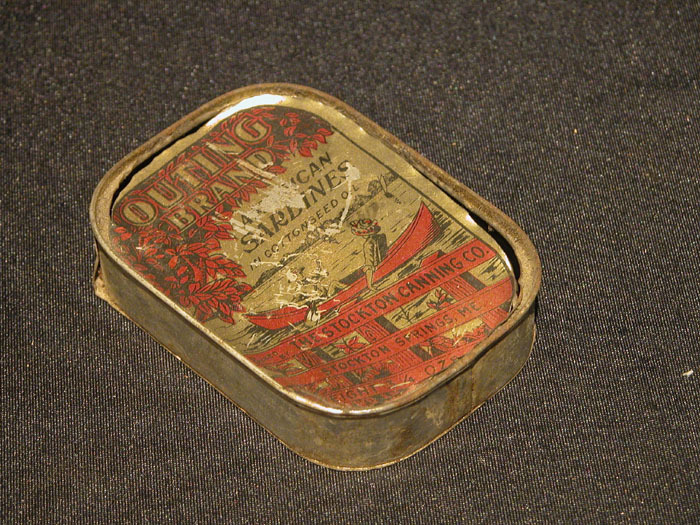 By 1910, there were more than thirty sardine canning businesses in Maine, and each had at least one "line" of sardines, some sardines being cut up into steaks, whole herring, or other snacks. 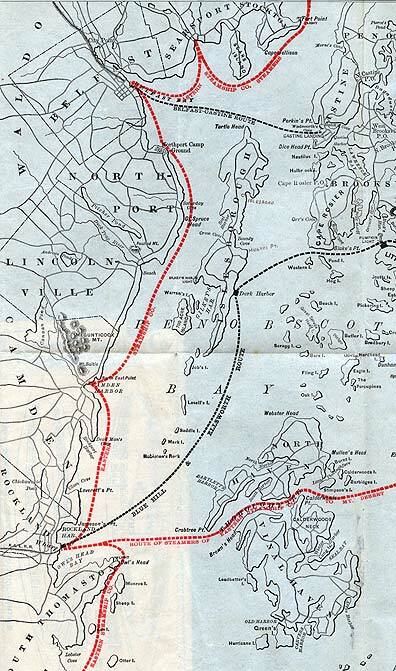 There must have been hundreds of waterpowered saw mills in Maine. It does not take much water to run one. 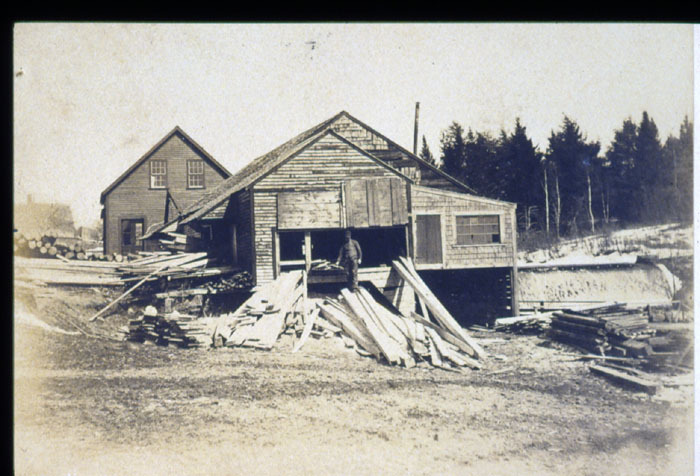 Here Belfast photographer, undertaker, and chronicler of his town, Charles R. Coombs, caught this small mill on the Goose River in Belfast, just off Swan Lake Avenue. It was then run by Dan Robertson. Hay was a very important export from Belfast. 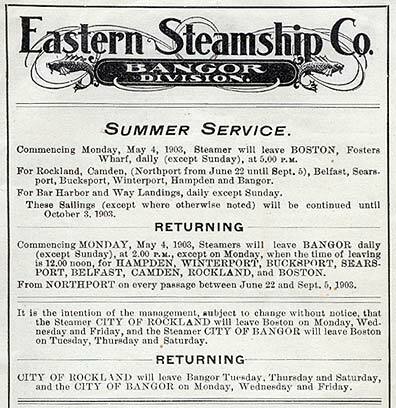 In 1887, Belfast shipped out 11,000 tons of hay, much of it coming from interior sections of Waldo County. 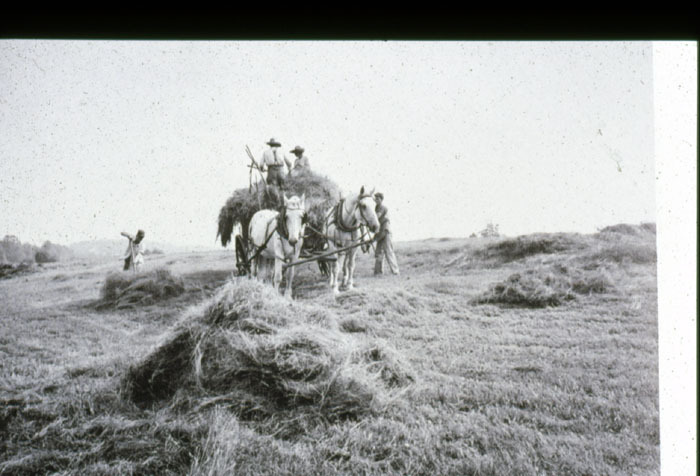 Hay was just about as important then as oil is today, as it provided the "fuel" for horses in big cities like Boston and New York before there were automobiles and trucks. Here a two horse team pulls a hay wagon on which two men stack the hay tossed up by two others with pitchforks, somewhere in Waldo County. 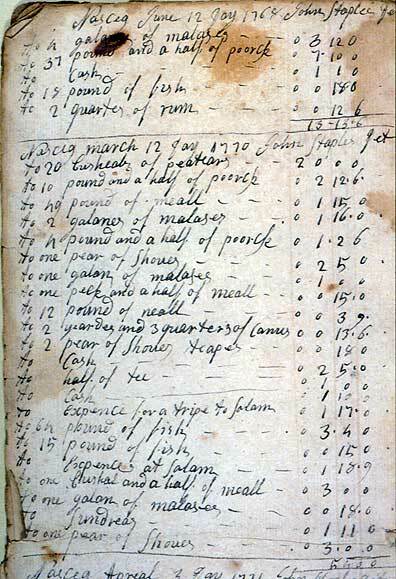 Shubael Watson created this account book for his store in Arundel, Maine in the 1740s, then brought it with him to Naskeag, now Brooklin, in 1763, shortly after the French left that part of Maine after the loss of the French and Indian War. The account book shows the sorts of items bought and sold in that period. Molasses, rum, pork, meal (flour), and nails were some items listed for a John Staples in his account for 12 March 1770. 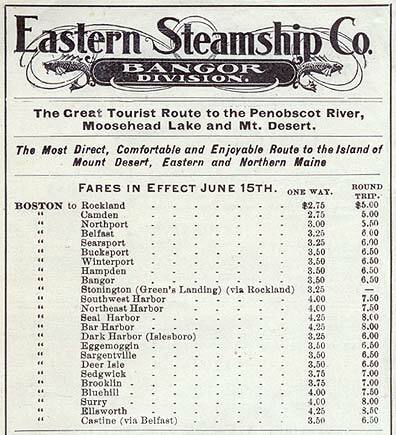 This also includes expenses for a trip to Salem.